To ensure peak performance of applications running on servers, the server hardware must be working well, the servers should be sized well to handle their workload, and there should be no resource bottlenecks. 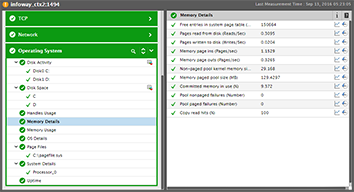 eG Enterprise Universal Insight is a monitoring, diagnosis and reporting solution for server farms. It offers broad coverage with support for 10+ operating systems including Windows, Linux, AIX, Solaris, and HPUX. 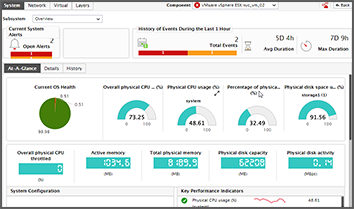 Our universal monitoring technology and easy to use layer model representation for tracking performance make eG Enterprise an ideal server monitoring solution. The variety of server hardware and operating systems in use makes it impossible for one administrator to manage all of these technologies. Organizations often have multiple administrators and multiple tools for the hardware and operating system monitoring in use and there is no integration or correlation between them. Consequently, problem diagnosis is a long and manual process. The increasing use of server virtualization is also changing the way in which server monitoring is done. In fact, there are more virtual servers being deployed today than physical servers. 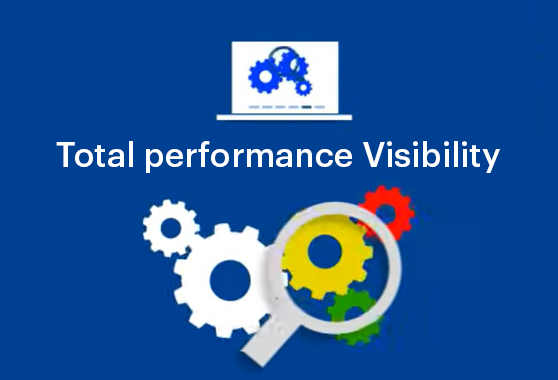 Conventional performance monitoring tools and processes used for managing physical servers are no longer sufficient for monitoring virtualized servers. Monitors 10+ operating systems from a single web console - Windows, Linux, HPUX, AIX, Solaris, etc.